We are in Smoked Salmon Heaven, after eating the best Smoked Salmon and Gravad Lax we have ever eaten, and all from an amazing Smoke House only a few miles away from where we live. One of the items on my 5 year old grandson’s (Archie) Christmas wish list for food to be eaten at our house over Christmas was Smoked Salmon! Plus star-shaped toasts. So for our starter for Christmas Day Dinner, I decided to retrieve my Star-shaped cutters from the depths of our garage (don’t ask! ), sliced some sour dough bread and slightly flattened it, then this went into a frying pan that contained melted butter and olive oil, was turned over on both sides and fried gently until golden and cooled on kitchen paper. This can be done even a day before eating,and stays crisp if kept in an airtight tin. Just found this picture on my files which was a ‘practice’ for the big meal, and was served with sour cream, pink ‘caviar’ and lemon slices. Delicious! 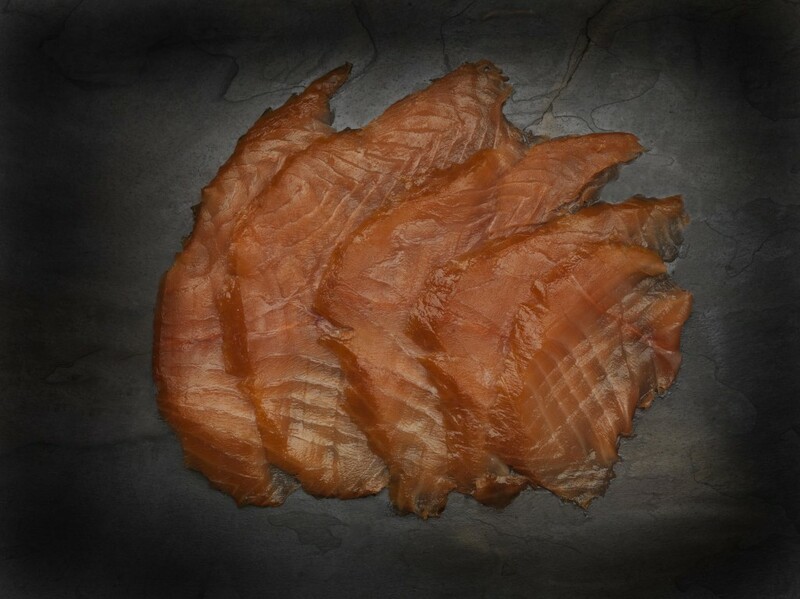 We had ordered our Cold Smoked Salmon and Gravad Lax from the Staal Smokehouse, based at Long Riston in East Yorkshire. Justin Staal and his wife, Georgina, have created at their smokehouse some of the tastiest smoked products I have been lucky enough to eat. They appear to be winning so many awards and accolades with their smoked produce, but I am not surprised – the softness and juicy texture, plus the superb flavour of the Smoked Salmon is second to none! 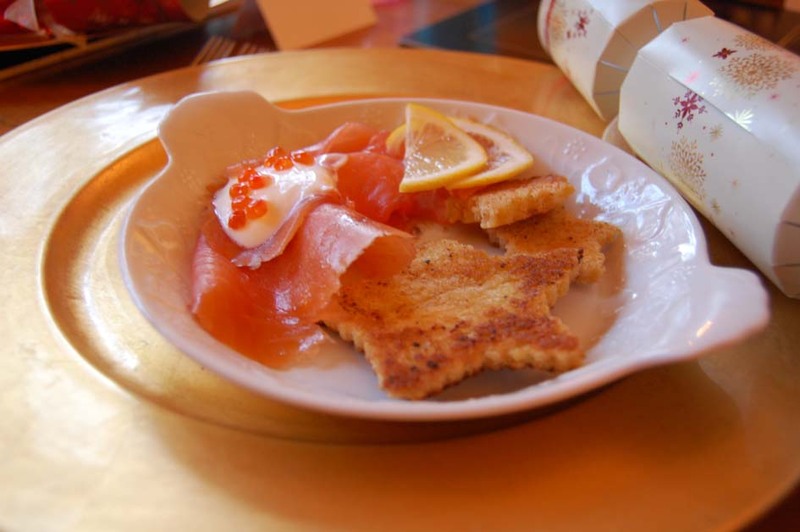 Almost ready to serve our Christmas starter, I opened my 250g packet of Sliced Cold Smoked Salmon – there were 5 of us eating this starter, to I placed my big and little crispy star croutons over the plate, and shared out the salmon. The slices in this packet were very generous, and one packet was more than enough for a starter for 5 people. Plus the slices were ‘proper’ slices, not one big slice covering a tiny thin one as happens in most supermarket Smoked Salmon packets. Then I thinly sliced some limes, and sprinkled over the beautiful fronds of Dill. It looked fit for a Queen, and I took great pleasure in presenting it to my family. Not one tiny bit was left on our plates! Family No One was with us for 3 days. Then it was all change with the bedding, a change around with the beds, and Family No Two came, with the Twins. Guess what I had chosen for their starter – well, I was the chef, and it’s our house! But I knew Designer Son Ant and wife Amelia would more than appreciate the Staal Smokehouse’s Gravad Lax, with Dill and Mustard Sauce, so out that came from the fridge. This Gravad Lax was incredibly delicious – served with the traditional Dill and Mustard Dressing, that Erik remembered from living as a child in America with his Swedish grandparents. Another scattering of Dill fronds, and that was all that was needed. We ate this cured Salmon quietly, and smiled to each other. It was very special, in a class of its own. Well done Justin and Georgina Stall. 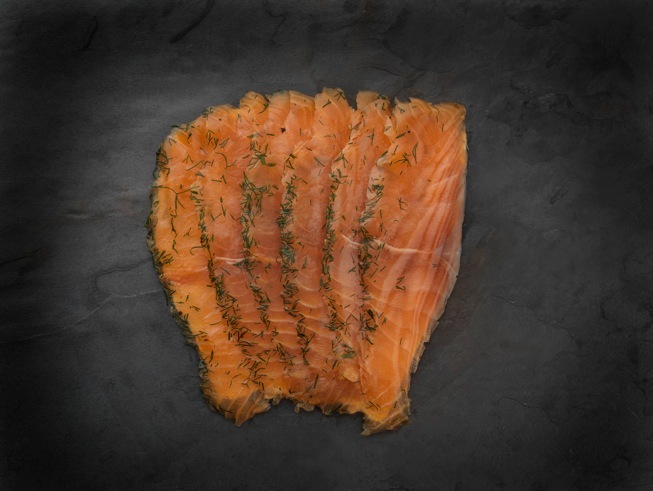 Staal Smokehouse also produces Whole Cold Smoked Salmon, Oak Smoked Salmon, Twice Smoked Duck, Cold and Hot Smoked Trout, Smoked Mackerel, Smoked Haddock and Smoked Chicken. I’m going to gradually work my way through the list, so I’ll let you know how I get on. They have a very good and clear website, and you can buy online or at the various food markets mentioned on their website. Click here for the link to Staal Smokehouse, and, believe me, you won’t be disappointed. You too will be in Smoked Salmon Heaven.